Let’s all make a pact and just pretend that Gameweek 29 never happened shall we? Okay, it’s a deal… we NEVER mention the fact that a lot of us captained Pogba, oh yeah and Auba too… oh dear it was bad wasn’t it. However there’s no need to worry now as Nathan and Joe are here to talk about Salah and his bizarre drought when it comes to FPL points, a quick look at the incoming blank Gameweek and the crunch match between Crystal Palace and Brighton. Plus, there’s more chat from the lads ... See More about Newcastle’s aerial prowess, Leicester’s run of fanciable fixtures and why Liverpool’s defence are must-have assets. Don’t miss Fantasy Football Pundits’ pick of the week too - they’ve gone for a player a fair few of you may have forgotten about. 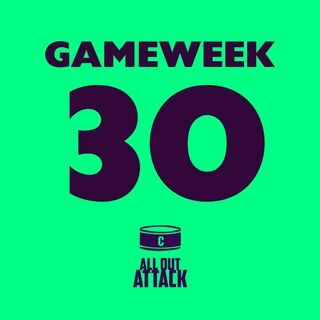 Subscribe, give us as many stars as you can until Spurs finally win the Premier League and follow us on Twitter at @AllOutAttackFPL. Thank you, enjoy and as always good luck in Gameweek 30.